lots to get wild about! The long-tailed macaques are the most conspicuous animals at MacRitchie Reservoir Park. Although commonly seen, they are very misunderstood. Few seeing them realise anything about the social world these monkeys live in. They have kin networks, power struggles, friends, foes, and an otherwise complex social network. In many ways, they provide a mirror of our own society. 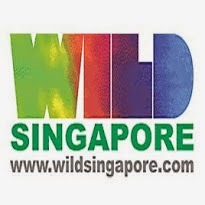 If you would like to learn more about your community and the interesting world of your neighbouring macaques at Lower Peirce, please join our FREE walk which is led by experts from the Jane Goodall Institute Singapore. More details and registration on the NParks website. 24 Nov (Sat): What's in my sky? 17 Nov (Sat): What's in my water? 10 Nov (Sat): What's in my mangroves? 3 Nov (Sat): What's in my sky? Chope 4 Nature | Please don't cut through me.